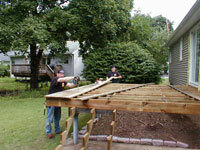 Repair or rebuild your deck! 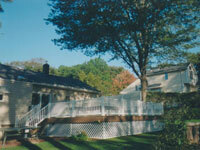 Griffith Construction, Inc. is your local handyman company service. Griffith Construction, Inc. is available to repair or rebuild your deck, balcony or patio in northern NJ including Morris, Passaic, Essex, Bergen, Hudson, Sussex and Union Counties. Whether you want to remove and replace existing boards with pressure treated lumber or you want to chang your deck to a composite deck with vinyl rails we can help. The power wash services offered by Griffith Construction can give your wooden deck or patio a fresh new look and can prepare surfaces to accept stains and other treatments. By investing just a small amount of time and money in cleaning your patio or deck, you can have a significant impact on its longevity and appearance. Griffith Construction also offers staining and sealing services to extend the life of your wooden fence, patio or deck and to present the most attractive appearance for your entire home. Our sealing and staining experts can match the color of your current deck or create a new look that complements all your exterior décor. Whatever your needs, we can provide the right stain and sealant solutions for your home. 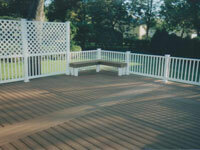 If your deck is in need of structural repairs, we can provide you with fast turnaround times for your repair project. Griffith Construction can assess the current condition of your deck or patio and give you an accurate idea of the cost of repairs, allowing you to plan for these expenditures more easily. If replacement is a more cost-effective solution, we can help you update, upgrade and enhance your patio or deck to ensure that you receive the right solution for your home and your family. The experts at Griffith Construction can design and build a deck, patio or outdoor entertainment area to your precise specifications and preferences. This can allow you to enjoy the most restful retreat and the best entertaining options in the comfort of your own back yard. 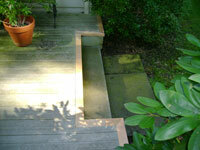 If your deck could use a little repair, call us today at 201-493-9999 or 973-831-6102. Our friendly and knowledgeable staff members will discuss your deck project with you and will help you find the most beautiful and cost-effective solutions for your repair or replacement needs.